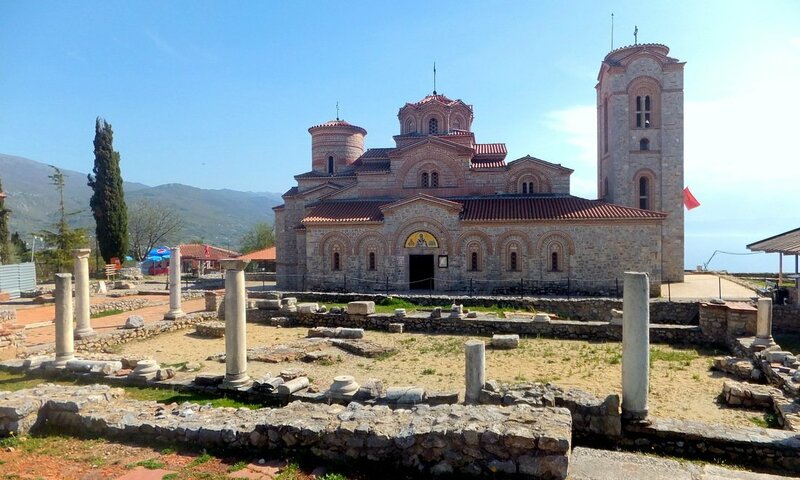 We crossed over to Macedonia from Albania, driving through a coastal road dotted with bunkers and carts with sellers displaying large, flat, dried fish, excited about visiting Lake Ohrid and the Church of Sveti Jovan. 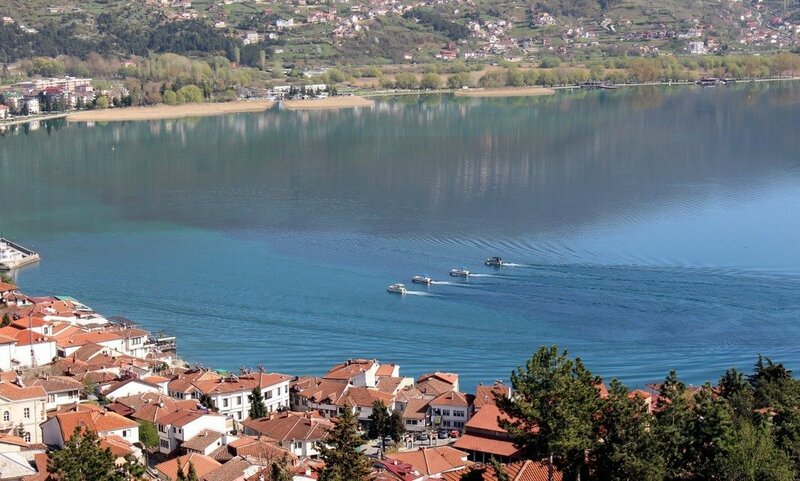 Ohrid (the main town on Lake Ohrid) was one of the busiest places we visited during the whole trip. People walked by the lakefront, children played, cafes and bars were full of more people sipping on their ice cold drinks. We bought ice-cream (less than 0.50 euro per scoop!) 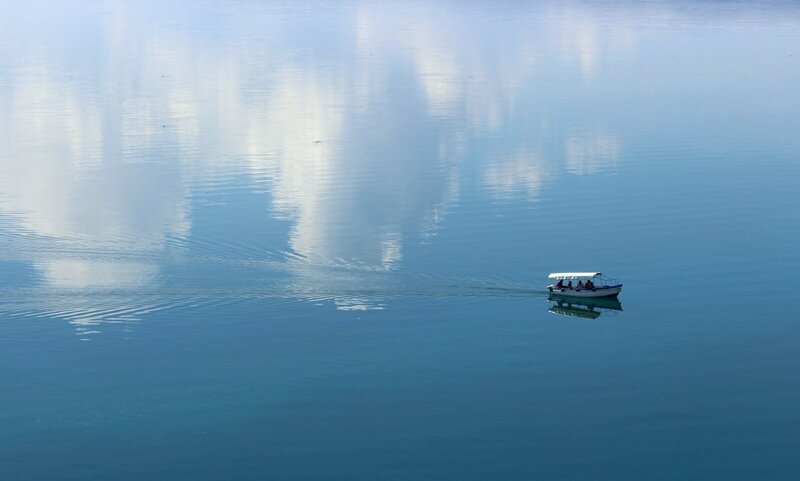 and set off to join the strollers for a walk along the lakeside hoping to eventually make it to the Church of Sveti Jovan which we had been told provided magnificent views over the lake. The Orthodox Church of Sveti Jovan was probably built around the 13th century, although the exact date remains unknown. The architect is also unknown, but it is thought that the architect was influenced by the style of Armenian Churches. The lake itself is splendid. 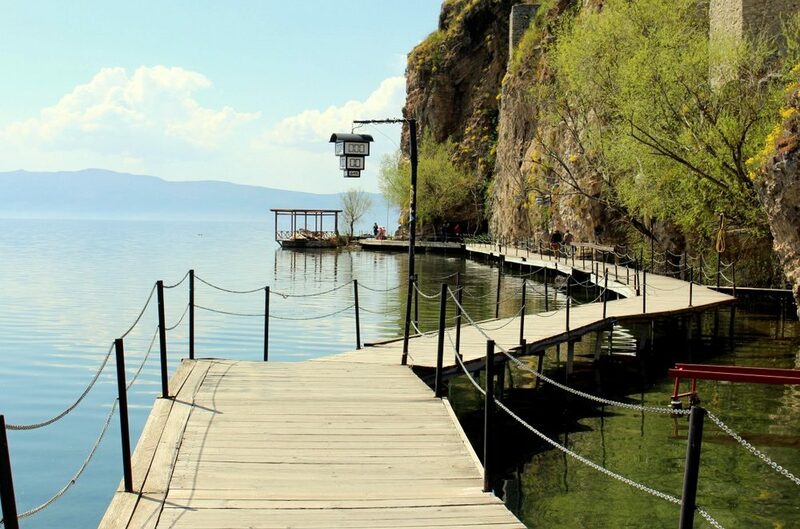 It is one of Europe’s deepest and oldest lakes with crystal clear waters that are home to a very unique ecosystem and both the lake and the old fortified town of Ohrid are UNESCO world heritage sites. 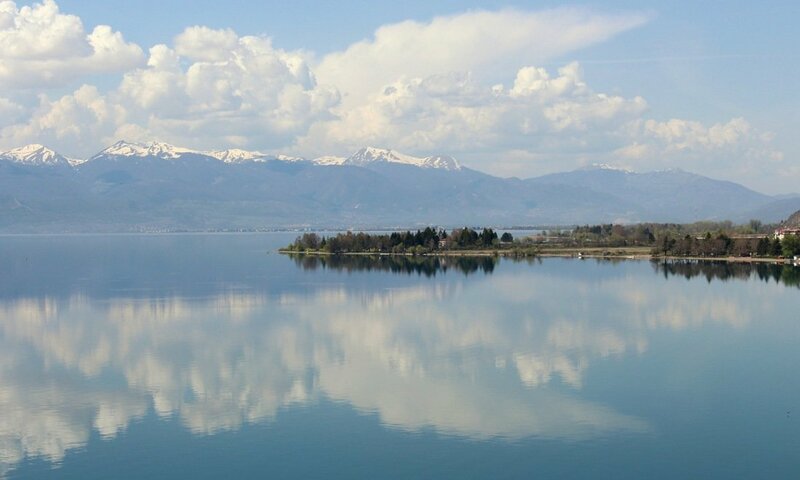 It is also the place where Macedonian people spend their vacations which is hardly surprising! 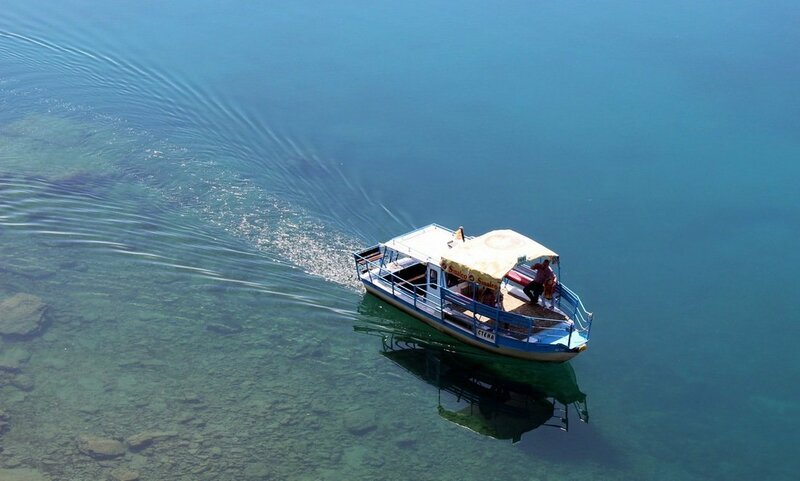 As we walked by the lake, boatmen continuously called out to us to take us on rides on the lake. They quoted prices of about 5 euro for a thirty minute ride though I’m pretty sure that the prices were very negotiable. We chose to skip that and walked around some more until we stumbled upon a traditional paper making shop which caught our attention. We were given a demo on how paper was traditionally made by hand from pulp – there was absolutely no pressure or obligation to buy anything and it was quite fascinating. 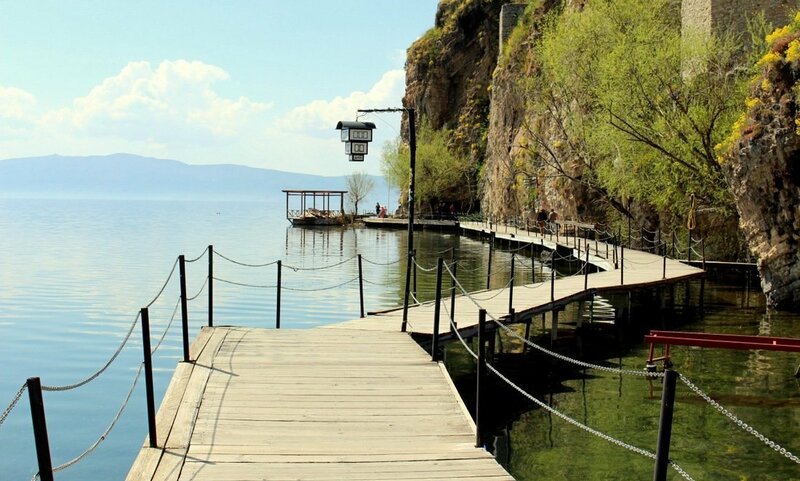 The old town of Ohrid is set atop a hillside just below and around Samoil’s fortress. The view from the fortress is spectacular but there’s not much else on going there. 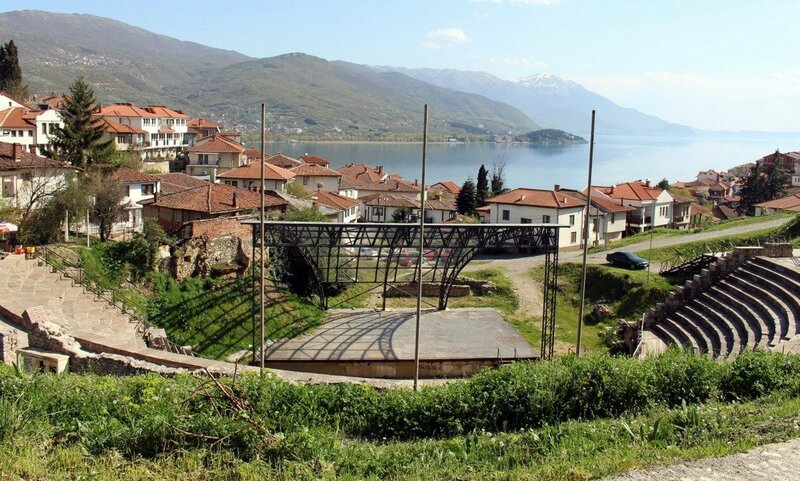 The old town is also home to a very well preserved ancient amphitheatre which today is used to host events and performances. A five minute walk from the amphitheatre later, we found ourselves at the archeological site of Plaošnik overlooking the lake. The church of St. Clement stands prominently within the site surrounded by ongoing excavations which have yielded ancient pillars and a baptistery with beautiful mosaic floors; it is thought that the church was built on an earlier Roman basilica. 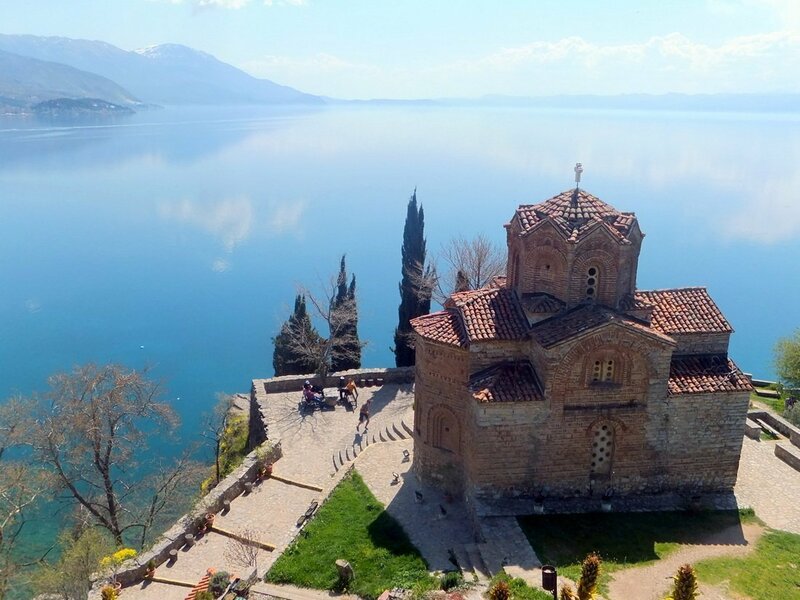 Lake Ohrid is the perfect place to relax and unwind whilst enjoying the gorgeous views, especially those from the church of Sveti Jovan. Being there during low season with perfect weather was an added bonus for us. We just loved it!